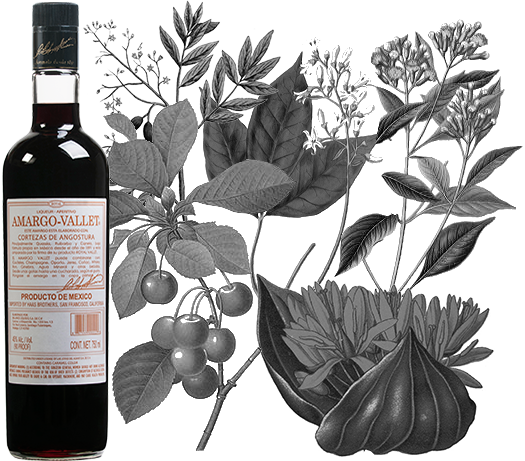 Amargo-Vallet is a 90 Proof bitter liqueur made from Angostura bark and a maceration of cherry fruits, cloves and other roots and spices. Herbal notes of bittersweet dark chocolate and citrus rind balance an earthly richness to create this world-class elixir. 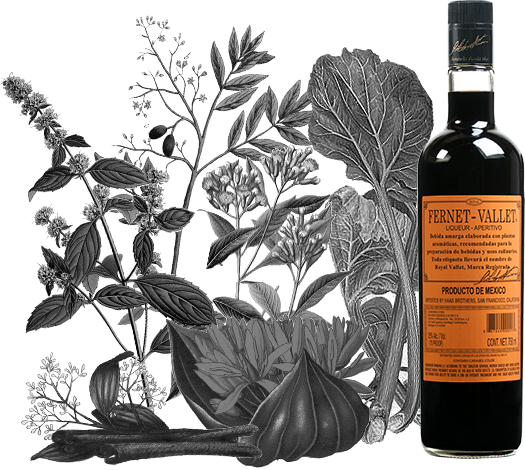 Fernet-Vallet is a 70 Proof fernet liqueur made from a maceration of aromatic plants, roots and spices including cinnamon, clove, Quassia wood, gentian root and cardamom. An intensely herbal, woodsy digestif, Fernet-Vallet enjoys popular usage throughout Mexico in the preparation of both classic and modern cocktails. 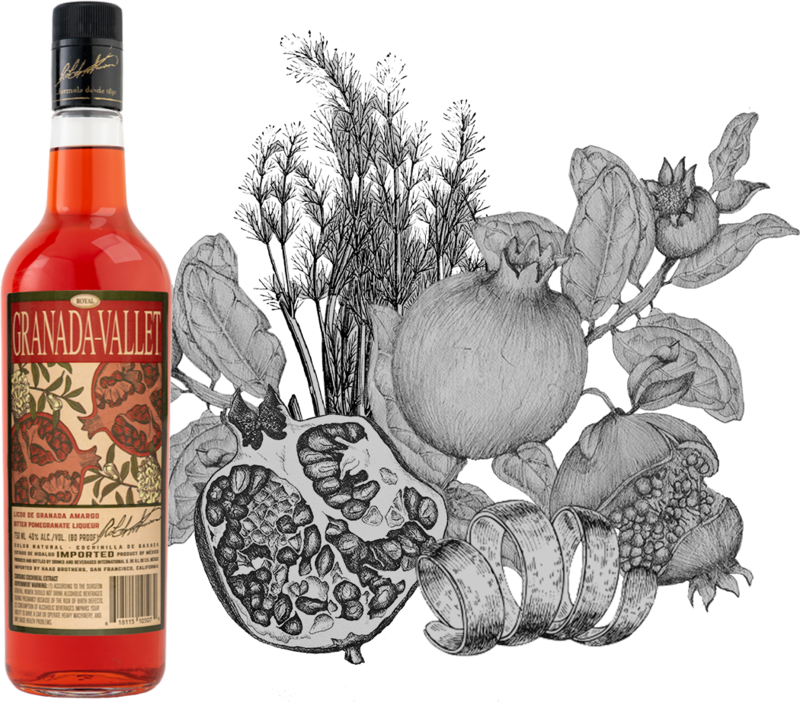 Granada-Vallet is an herbaceous bitter liqueur from Hidalgo, Mexico, inspired by traditional red Italian bitters. A pomegranate tartness with woody notes of gentian root, wormwood and cinchona is balanced with citrus accents of orange and kefir lime. Its beautiful color, redolent of sunset, is derived from Indigenous Oaxacan cochineal, culminating in this balanced, all-natural Mexican liqueur best served over ice or in your favorite craft cocktail. © 2019 Las Joyas del Agave, S.A. de C.V.